Women are strange creatures. One minute they love the way you bite your lip when you’re thinking, and then the next they’re telling you that it’s annoying. They start out on your first date giggling over the fact that you can’t eat spaghetti without the aid of several types of cutlery, and then they think it’s foul a few months later. It’s possible to avoid these scenarios, when suddenly all the little habits she originally found endearing are now sources of annoyance. And it’s also irritating to you. Here are three habits that often turn women off, even if it seemed endearing at first. When you first start out dating someone, it might be cute when you suggest finding a reasonable option, like a restaurant with dinner specials or 50p half-pints on Friday. She might find it refreshing – the honesty of a man who isn’t shy about admitting that he isn’t made of dosh. That’s all well and good, but there’s a difference between being a reasonable bloke who doesn’t pretend he’s rolling in it, and admitting that you have been on the dole for half your life. After a while, this becomes less about honesty and more about seeming like a lay about. Avoid this before it starts, and keep your finances to yourself. 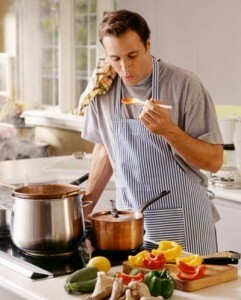 The stereotype that cooking is just woman’s job is totally outdated and although at first she might like the idea of being your caretaker after you have been dating for a while. Every person, male or female, can use some basic culinary skills, and it’s even better when you can impress her with a home-cooked meal. It’s in your best interests to not have this quality to be something that becomes established at the beginning of your relationship. She’s going to get weary of it, and she might end up seeking out dinner – and a relationship somewhere else. You might still live in a shared flat with a few of your mates, which is fine. If a girl judges you for that, let her go, since living arrangements are often about practicality. The problems starts when you also live like you’re still a student in every other way. For example, a filthy flat. 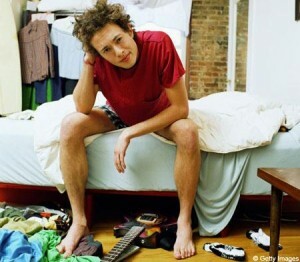 You might blame it on your flat mates at first, and it may start as a joke – you live with a bunch of dirty blokes, and there’s no woman around to take care of you. However, when it becomes obvious that you don’t change your sheets for a month, she’s never going to agree to stay with you. It may seem youthful to have the same lifestyle habits you had when you were younger, but in reality it just makes you look like a giant man-child. It’s not difficult to prevent yourself from projecting this image, even if you actually do live like a student, by doing your laundry regularly and at least picking up a bit before she comes over.